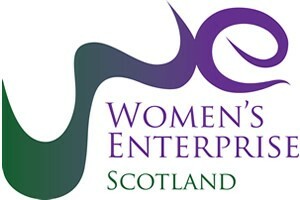 Women’s Enterprise Scotland, working in partnership with Fife Council Economic Development, are to deliver the upcoming women’s leadership development programme at the Enterprise Hub Fife. The "Lead With WES" programme is designed for women business owners wishing to lead their business through growth to become a sustainable, high performing organisation. The programme aims to help businesswomen increase their confidence in leadership by enabling them to strategically analyse their business against their vision for the future by helping them to develop, implement and evaluate strategies to grow their business using models and tools. In addition, the course will help attendees identify their own leadership style and develop their leadership and management skills to fully embed their learning in their business. A blended learning approach will be used to ensure that everyone’s learning needs and preferences are catered for. By blending the use of workshops and online content, you will be able to both work on and in your business during the programme. Four, one-day workshops are scheduled to allow face to face training, facilitated group discussions and sharing of experiences. The workshops will focus on equipping you with the skills and knowledge required to implement what you learn in your business. All workshops will take place at the new Enterprise Hub in Glenrothes from 10am – 4pm. The first session will allow participants to build their vision of what growth and success looks like for them in the context of their business and their life. We will enable the businesswomen to set growth goals and articulate their visions. Whether you have a large team or are a sole trader, we’ll look at leadership styles and communication skills to enable you to communicate assertively and with confidence. We’ll work with you to create your own personal development plan to build your confidence in leadership. Drawing on research from the fields of management, neuroscience and psychology, we’ll look at how to manage change effectively. Participants will have access to a digital portal where they can access materials to support their learning such as reading lists, downloadable models and frameworks, case studies and course materials. The private Facebook group is an integral part of the programme. It will contain updates and ideas, links to the course materials and it's how we will help you actually implement the content from the course. It will provide peer to peer support and accountability. Both the online portal and discussion group will be supported for a year.